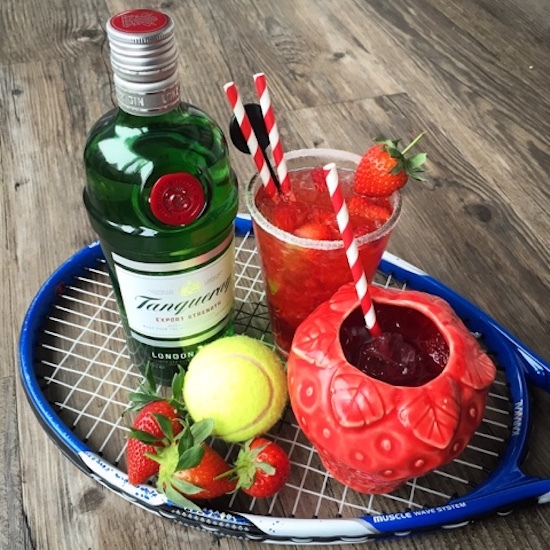 Emily's Recipes and Reviews | UK Food Blog | Leicestershire : 9 winning recipes for wimbledon. Be winning at Wimbledon with these tasty picks for the British Summer of sport. From nostaglic strawberries and cream to that familiar sip of classic Pimms, I've rounded up a few of my favourite food blogger recipes you will absolutely 30-love. Whoever knew tennis could be so tasty? Without further ado let's serve up these recipes... game, set, match! A deliciously inviting gin cocktail recipe from The Petite Cook. 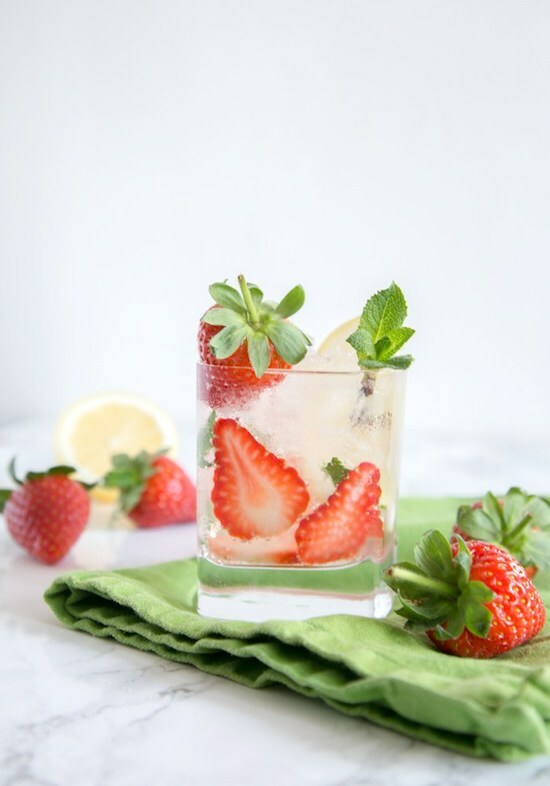 With her striking photography, this strawberry gin fizz muddles together fresh strawberries, tonic, mint and lemon with my favourite tipple. This Game, Set & Match cocktail from Foodie Quine is a real winner. Gin is a must, with refreshing cranberry juice and strawberries in the mix. Adorable Pimms inspired treats from Munchies and Munchkins. Fun to make for a garden party, these easy-to-make desserts are made with simple ready-made shortcrust tarts before being laden with delicious whipped cream, orange zest, real Pimms and a fruity topping. 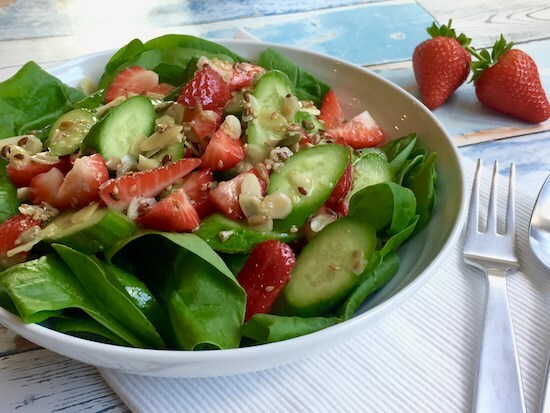 A savoury twist on the classic combination of strawberries and cucumber. This inviting salad is bursting with flavour and texture - making it the perfect addition to your Summer party spread! Oh yes, gin again. This time combining another of my loves - tea! 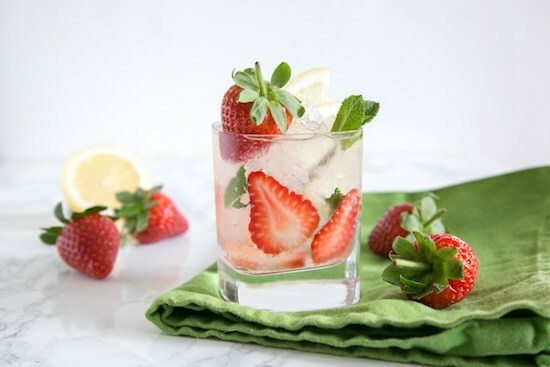 This fruity mix is made up of gin, English breakfast tea, strawberries and tonic. All the best of British, served over ice. 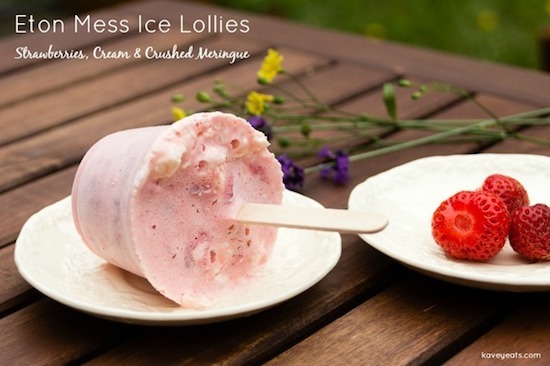 Ever wondered if you could take a mouthwatering Eton Mess and turn it into an ice cold Summer treat? 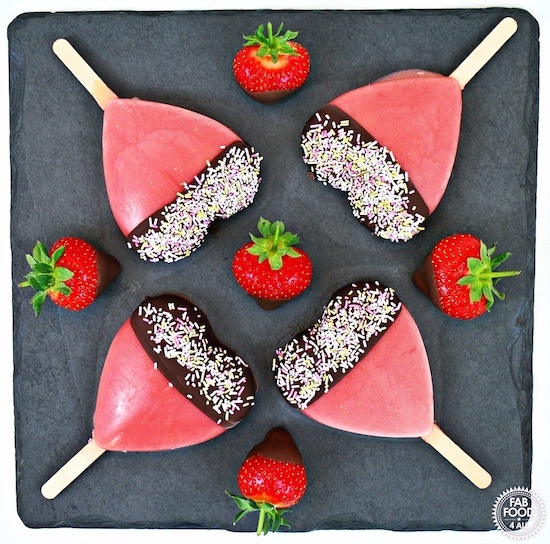 Kavey Eats has done just that with this amazing combination of strawberries, cream and meringue on a stick. That means a free hand to sip on one of those awesome cocktails! What are your favourite Wimbledon recipes? Have you been watching the 2018 games? Ohhh these are all wonderful! 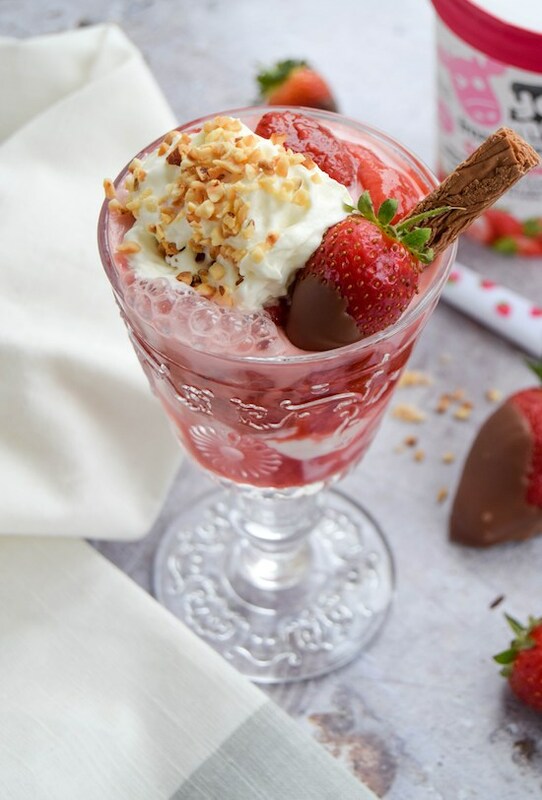 I've just bought loads of fresh strawberries, so I can wait to try few of these awesome recipes! What a pretty array of red/pink and white recipes. It definitely captures the spirit of Wimbledon and summer! I love strawberry season so much. I don't buy non-British, so therefore the anticipation is really strong when they arrive! Great set of ideas on how to enjoy them in different ways! 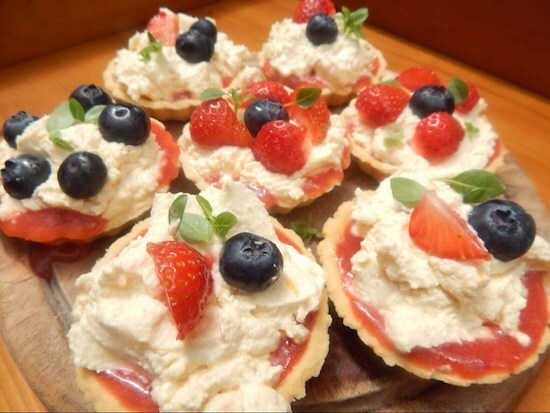 These all look fantastic but I especially love the sound of those Pimms tarts - YUM! Fab round up. I'm not sure where to begin!! Maybe that chocolate covered strawberry sundae?! What a great collection of strawberry themed recipes. I always have to ad strawberries to the shopping list when they're in season. Oh wow what a roundup of recipes. I love strawberries and I love these. I'll have one of each please! I love strawberries and these recipes look fabulous! Thanks for including mine.